Dr. Cartter says unlike the cold or the flu, it is extremely hard to contract meningococcal meningitis. Unfortunately, the college dormitory is one of those settings conducive to spreading the disease. Cartter is recommending that college students get the meningococcal B vaccine along with the other required vaccines. Bacterial meningitis is a serious disease that can cause brain damage hearing loss and death in one out of every 10 people who become infected, according to the CDC. 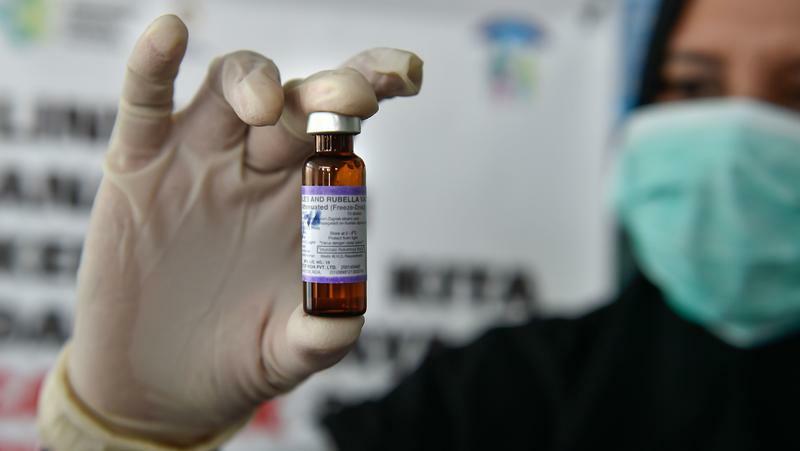 If you take the long view, international health organizations have much to be encouraged about when it comes to the global fight against measles. From 2000 to 2017, for instance, the annual number of measles-related deaths dropped 80 percent — from a toll of over half a million to just under 110,000 last year. Nearly 8 percent of adults and children in the United States have asthma, but new Connecticut state data shows that there has been a decrease in asthma-related hospitalizations and Emergency Room visits in many of our communities. This hour, we learn more about asthma trends in our state and we examine measures our health providers are putting in place to curb the effects of the disease. And later, we check in on how well Connecticut is doing to prevent lead poisoning among children.